Hoi An Ancient Town is known as a place of long-standing culture with more than 1300 historical sites and was recognized as a world cultural heritage by UNESCO since 1999, meanwhile, in recent years, Phu Quoc island district has emerged as a new tourist area with beautiful dreamy beaches retaining its untouched features. So, which place is better to visit in summer 2019, let’s follow this post. There are two seasons in Phu Quoc: dry season (from October to May) and rainy season (from June to September). 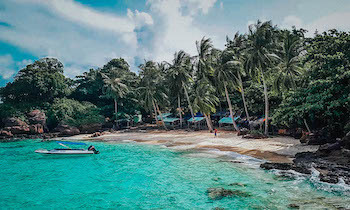 You can make an itinerary to Phu Quoc at any time of the year because despite being in any season, the weather in Phu Quoc is warm and sunny. Hence, the best time to visit Phu Quoc is definitely from November to January, the weather in Phu Quoc in this duration is especially nice with the sea waves are slight, the sky is clear and sunny. 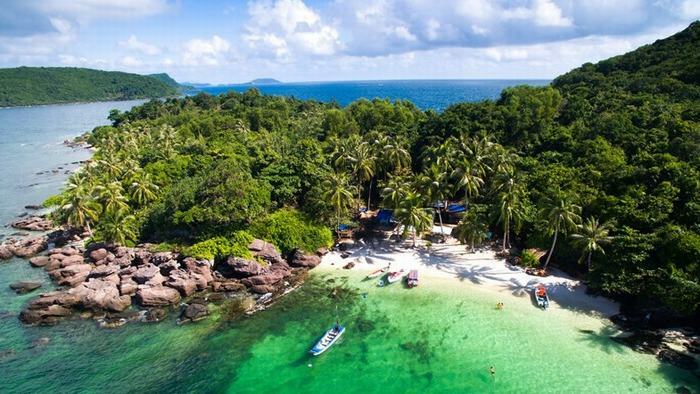 Besides this duration, you can choose to visit Phu Quoc at the beginning of April or the end of October; it is the transiting time between dry season and rainy season on the island, the number of tourists here is less crowded. The best time to visit Hoi An is from February to April annually, at that time it is less rainy, and space is fresh and comfortable. You should not visit Hoi An in summer because it is hot and muggy. The rainy season from October to November is also considered the inappropriate time to come to Hoi An due to the heavy rains and storms sometimes. If possible, you can arrange to visit Hoi An in monthly 14th in Lunar Calendar to participate in “the night of old town”. 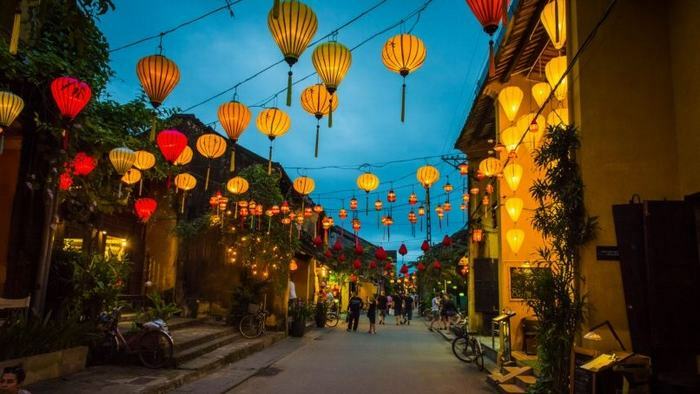 On this occasion, you will have the opportunity to see the bright red lanterns spreading across the street, a typical scene of Hoi An on occasion. Located in the central of Vietnam, Hoi An is affected dangerously by floods and stormy rains in the rainy season and extremely hot in summer. So, the winner is the climate of Phu Quoc. 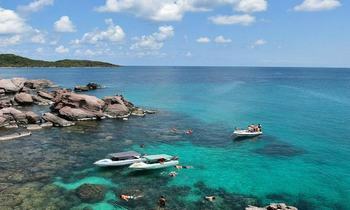 There are two options to travel to Phu Quoc which are by road and sea route, and by air route. Transferring by the air route is the most convenient way because recently, there are three straight flight routes to Phu Quoc International Airport from Tan Son Nhat International Airport (Ho Chi Minh city), Noi Bai International Airport (Hanoi), Can Tho Airport (Can Tho). If transferring by road and sea route, you have to move to Rach Gia town at 5 a.m by bus, and then taking a transiting bus to Rach Gia harbor and waiting for 8 a.m to catch a boat to Phu Quoc. You will take 2 hours 30 minutes or 3 hours on the boat to get to Phu Quoc depending on the weather condition. The ship will stop at Ham Ninh ferry, and you can catch a taxi or motorbike taxi to get to Duong Dong town. Hoi An ancient town belongs to Quang Nam province, but the nearest airport is Danang Airport. Currently, airlines such as Vietnam Airlines, Jetstar, Vietjetair have operated flights from Ho Chi Minh City. HCM and Hanoi to Danang. If you want to buy a cheap ticket, you should make a reservation of about 3 to 6 months. From Hanoi or Ho Chi Minh city, there are train routes to Danang (North-South line), fare varies from 400,000 VND to 1,200,000 VND depending on the type of train and seat. It takes 14 to 20 hours to travel from these two cities to Danang by train. With the position in the center of the country, Hoi An is more convenient for tourists to get there. 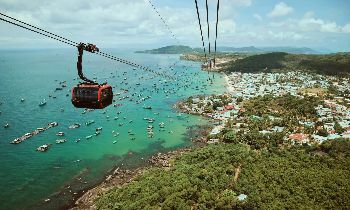 The center of Phu Quoc island is the busy and bustling Duong Dong town; there you can visit Dinh Cau Temple, Dinh Cau night market, Duong Dong market, Coi Nguon museum. This is great places to enjoy Phu Quoc nightlife. The northern part of the island is dominated by primeval forests with pristine natural landscapes and diverse flora and fauna. You can visit Duong Dong lake, Da Ban stream, Khu Tuong, Ganh Dau cape, Hon Thom, Tranh stream, Da Ngon stream, Phu Quoc national park, Nguyen Trung Truc temple, and beautiful Long Beach. 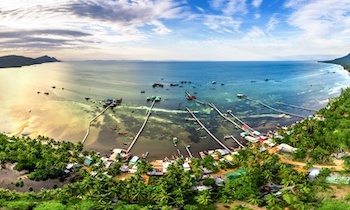 The east and south of the island are a series of beautiful beaches like Sao beach, Khem beach and Ham Ninh ancient fishing village, fish sauce factory, An Thoi fishing port, An Thoi archipelago, and Phu Quoc prison. Cau Pagoda is a pearl in the heart of Hoi An. The bridge was built in the late 16th century and called the Japanese bridge. In the middle of the bridge is a small temple worshiping Jade Emperor Huyen Thien. The bridge has a unique roof with the structure and decorative patterns showing the harmonious combination between Vietnamese, Chinese, Japanese and Western architectural styles. The precursor of the Assembly Hall was a small shrine worshiping the Thien Hau Thanh Mau (the goddess blessed the merchants who surpassed the ocean) and placed at Hoi An beach in 1697. Through many times of restoration, and with the main contribution of Fujian people, the Assembly Hall has become more spaciously which contributes to embellish the appearance of Hoi An ancient urban architecture. 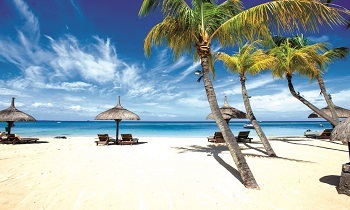 Cua Dai is a beautiful beach with white sand, clear blue water, and very fresh seafood available at low prices. Going to Cua Dai beach in the evening is also great because at that time the immense beach is sparkling under the romantic oil lamps. 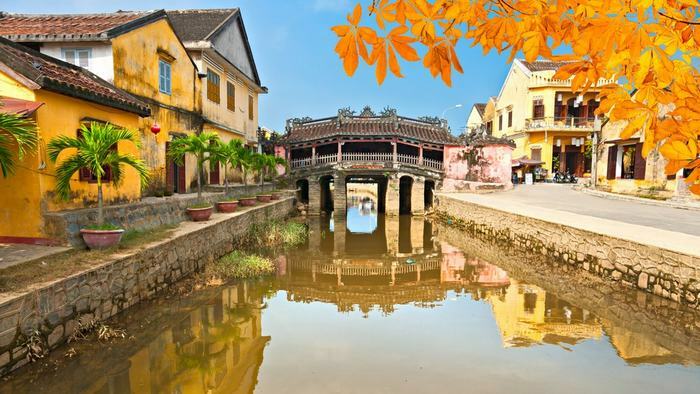 Hoi An is famous for its ancient architecture with a chain of ancient houses, temples, and pagodas. 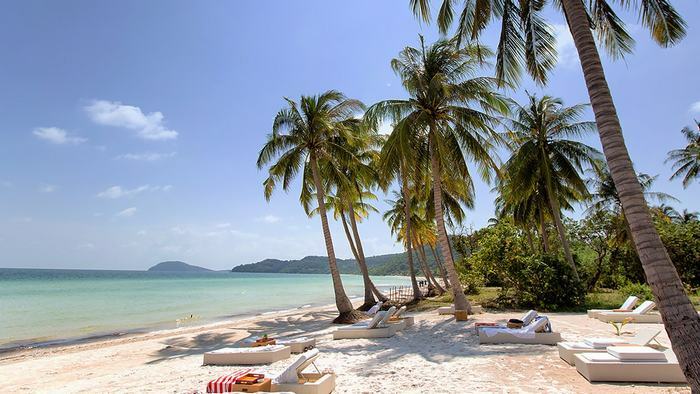 Meanwhile, the advantage of Phu Quoc is the beautiful landscape with many gorgeous beaches, streams and pristine forests. 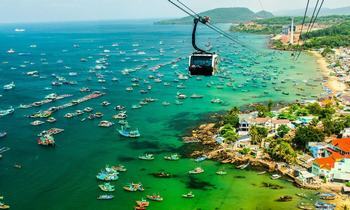 Both Hoi An and Phu Quoc have its strength to attract tourists. 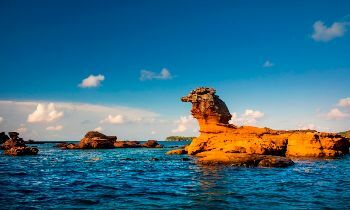 However, Phu Quoc is recommended to be an exciting place for summer vacation due to its advantages of landscapes and climate. 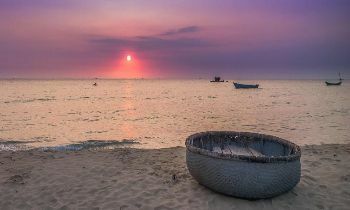 Why don’t you book tours in Phu Quoc right now to enjoy a great summer? If you need further information, contact us. Thank you! 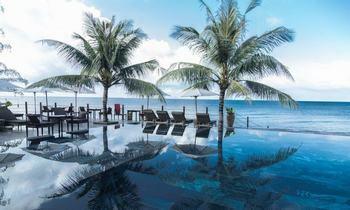 NAVIGATE Hoi An or Phu Quoc - Which one is more worthy visiting in this summer?